Energy consumption has been multiplying at one of the fastest rates in the world due to population growth and economic development. Thus, the role of energy becomes considerably important to sustain modern societies’ fast economic and industrial growth worldwide. The brisk exhaustion of fossil fuel reserves has compelled an urgent need for alternative sources of energy. Further, in view of environmental threats, the development of renewable energy sources has received attention. From many alternatives like solar energy, wind energy, geothermal energy, etc., the first stands out as the brightest long-term resource for meeting the ever-increasing demand for energy. There has always been a close connection between sustainable development and renewable energy. While solar energy is available abundantly in almost every part of the earth, it is much cheaper than many alternatives and can be mainly harnessed in two different ways. First is a thermal system for thermal energy conversion, and another is through photovoltaic systems for electricity production. 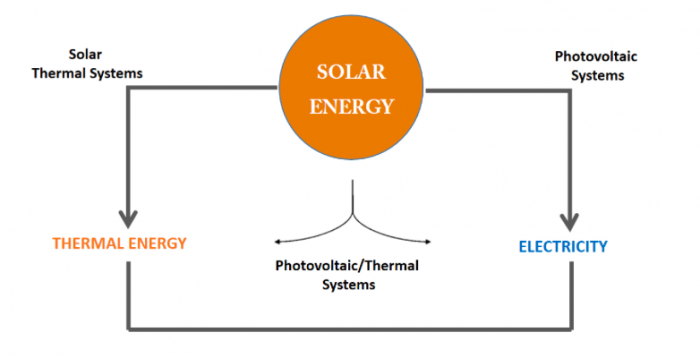 Both systems can be combined into one system, known as Photovoltaic/Thermal (PV/T) system, which can be simultaneously used for both functions. 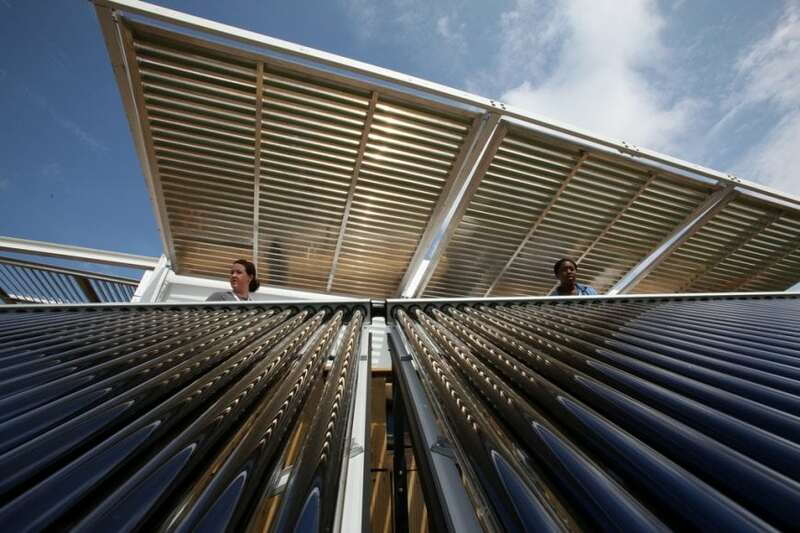 The present study deals with the solar thermal systems which operate by making use of a solar collector. Solar energy collectors are basically heat exchangers which convert solar radiation energy to thermal energy and transport it to the working medium. The major constituent of any solar device is the solar collector. The collector absorbs the falling solar radiation, transforms it into heat, and passes this heat to a fluid (typically air or water) which flows through the collector. The solar energy collected is thus carried away by the circulating fluid either directly to the hot water or space conditioning equipment or to a thermal energy storage tank from where it can be used for various applications. The solar collectors have been invented a while ago, but both their efficiency is still an issue. Similarly, the efficiency of photovoltaic systems is even lower, around 5-25%. While the renewable systems are still in development phase, a lot of research is being carried out in this field. Among this, the artificial rib roughness method is a prominent way of enhancing the thermal efficiency of a collector. The present study elucidates the methodology of rib roughness method by visualizing the in-depth fluid flow pattern involved in the duct. The visualization helps in better understanding the phenomena of heat transfer and fluid dynamics inside the solar air heater. It is a step toward focusing the special parts near the rib, which can be understood and targeted for optimization. The effect of various geometrical and flow parameters on the performance of solar air heater has been summed up in the present investigation. The article is a mini-review dealing with solar air heater and could present a reference in the field. The economic aspects are also discussed in contrast to other enhancement methods. Further, a conclusive discussion is presented on combined enhancement techniques for future developments in solar air heaters. These findings are described in the article entitled A review of artificial roughness geometries employed in solar air heaters, recently published in the journal Renewable and Sustainable Energy Reviews. This work was conducted by Inderjeet Singh and Sukhmeet Singh from the Punjab Agricultural University. Inderjeet is a research scientist at the Punjab Agricultural University. Previous Post« Previous Is There Seasonal Variation In Female Asian Elephant Social Structures In Southern India?